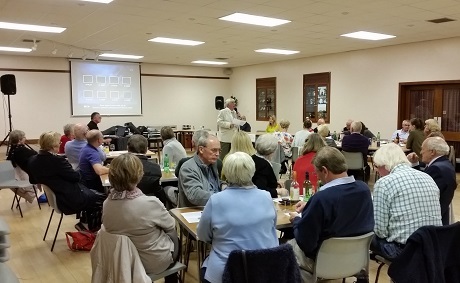 The Rotary Club of Lincoln held a Race Night to raise money to fund as many of the charitable requests received as is possible. This was extremely well attended and it was rewarding to see numerous people from outside the Rotary sphere thoroughly enjoying themselves and adding to the occasion with their enthusiasm. 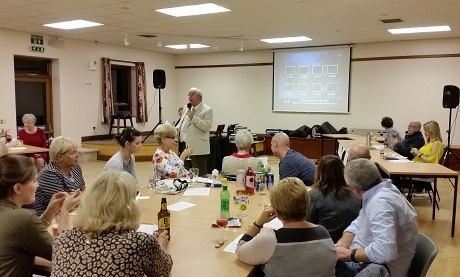 Apart from the fun on the evening it is extremely pleasing to be able to report that over £1000.00 was raised. Rtn Paul Brewer as the MC and Auctioneer helped engender the right sense of occasion. He was helped in front of house by the bet collectors Sue (Inner Wheel), President Bill and Rtn Emma and whipper in and race marshall (all with the aid of a mouse) Pres Elect Malcolm. The whole event was organised by Peter Howard. 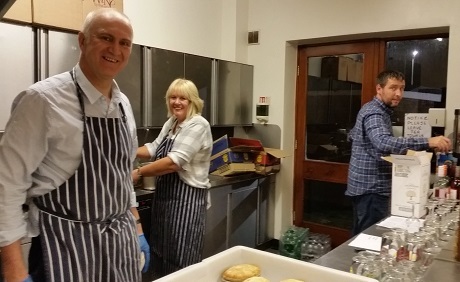 However, equally important (some might say more important) was the catering and bar staff Rtn Neil Curtis, Caroline and Michael who provided pie and peas and lubrication.